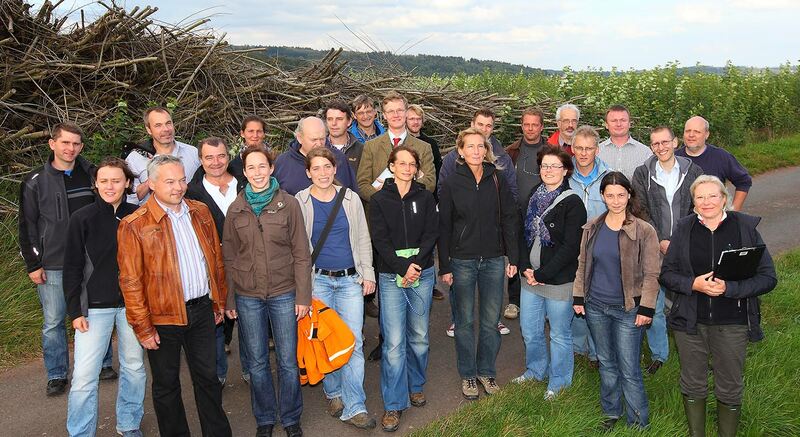 The established multi-use concepts are as diverse as the conditions at individual production sites. 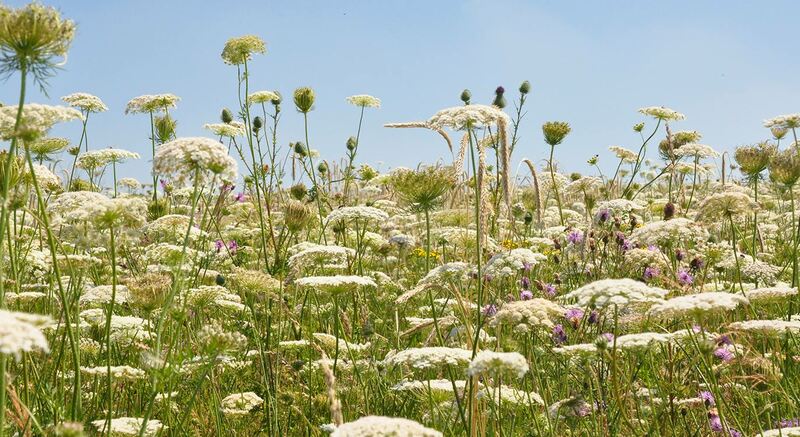 The spectrum ranges from extensive agricultural timber cultivation and perennial energy grasses to flowering plant mixtures and diverse combinations of these crops in agroforestry systems. 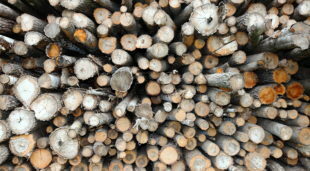 Numerous different tree species are used for the production of solid fuels, both of regional origin (alder, birch & willow among others) as well as commercially available varieties of poplar and willow. 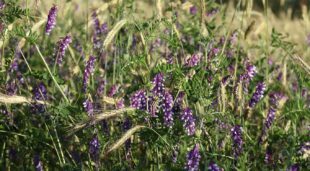 Classical field feed mixtures (e.g. 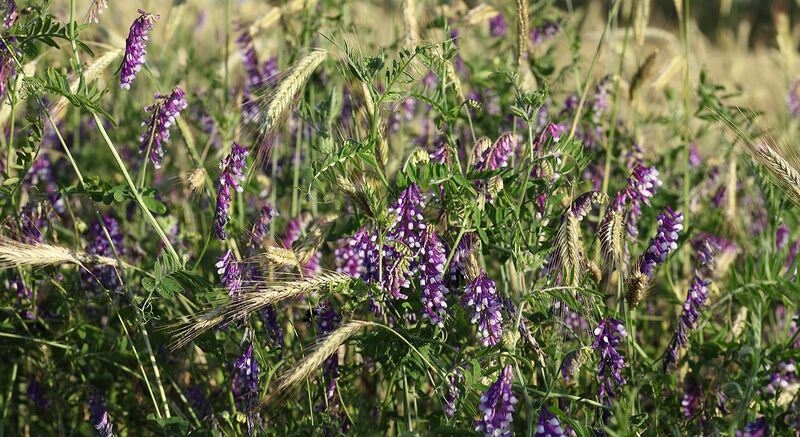 clover grass ley, Landsberg mixture) as well as mixtures with cereals, legumes, oil fruits and wild herbs are cultivated to provide biogas substrate. 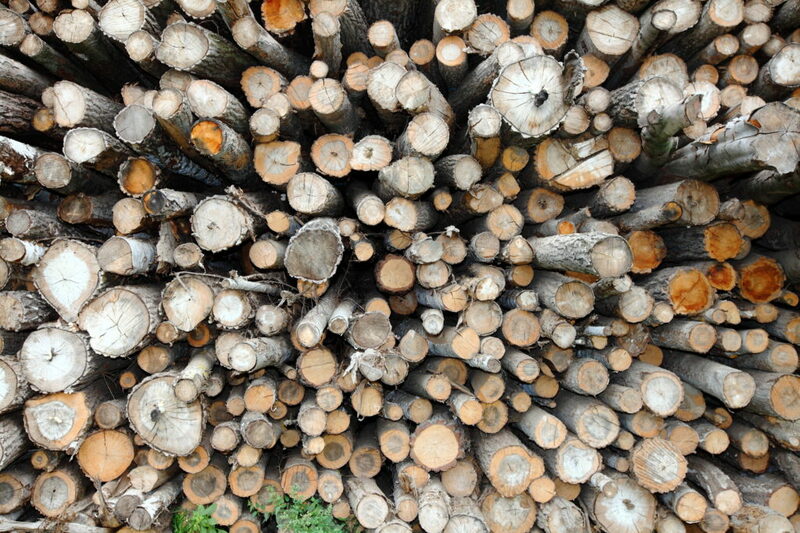 The produced renewable raw materials can be used as energy sources, animal fodder or for material use (e.g. valuable wood) as required for regional recycling. 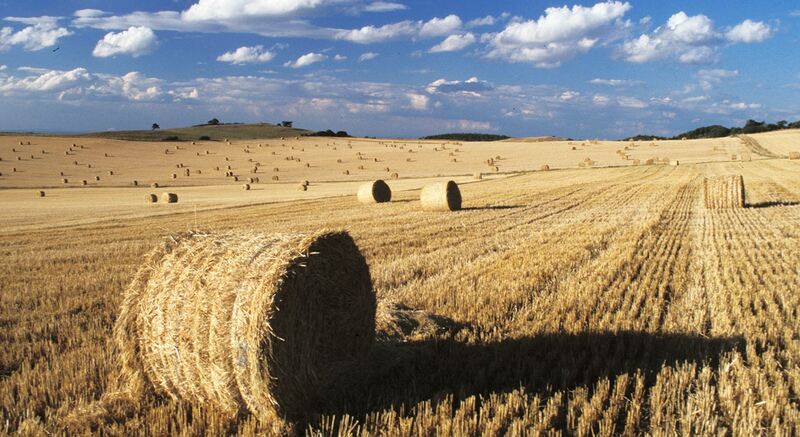 Multi-used arable land and its raw materials. 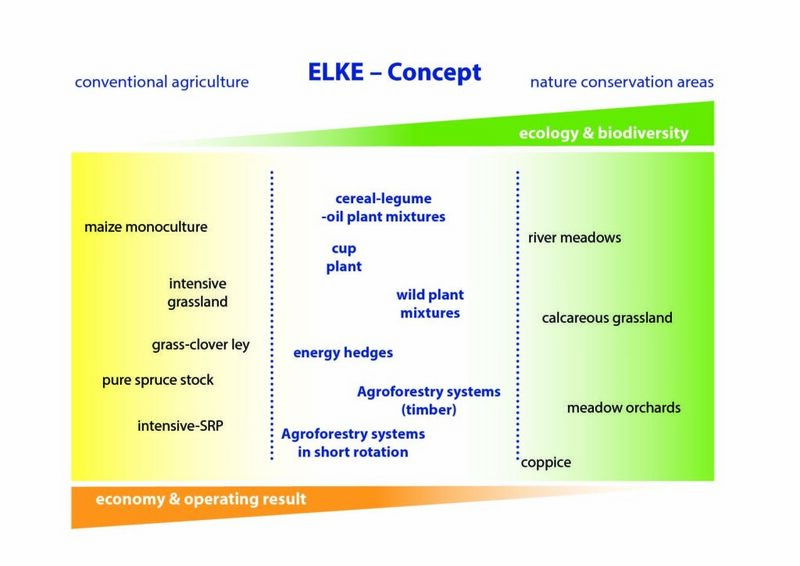 Modern cultivation systems can offer solutions for more biodiversity while simultaneously producing biomass, so-called multi-use concepts. 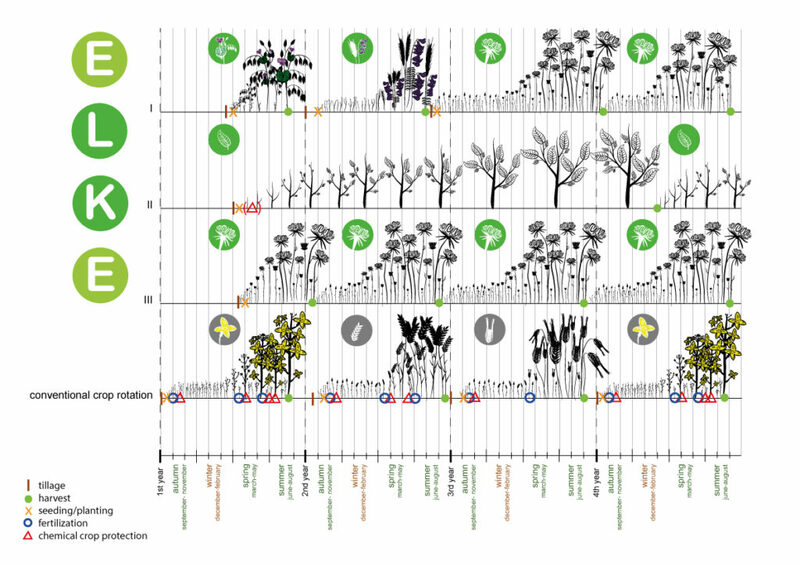 Extensive cultivation systems for the production of renewable raw materials offer a high spatial and temporal diversity with a simultaneously low number of cultivation cycles. 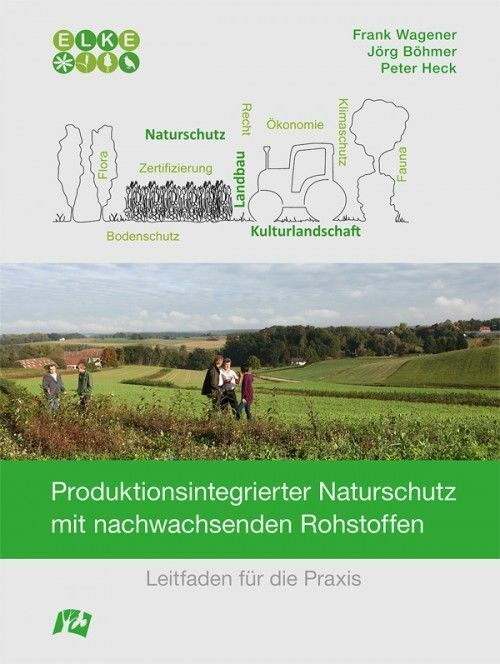 The practical guide “Production-integrated nature conservation with renewable raw materials” was designed for all interested farmers, planners, authorities, foundations and associations. 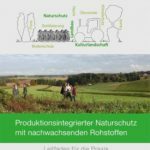 It demonstrates the chances and potentials of extensive cultivation systems for the production of renewable raw materials for the compensation of interventions in nature and landscape. 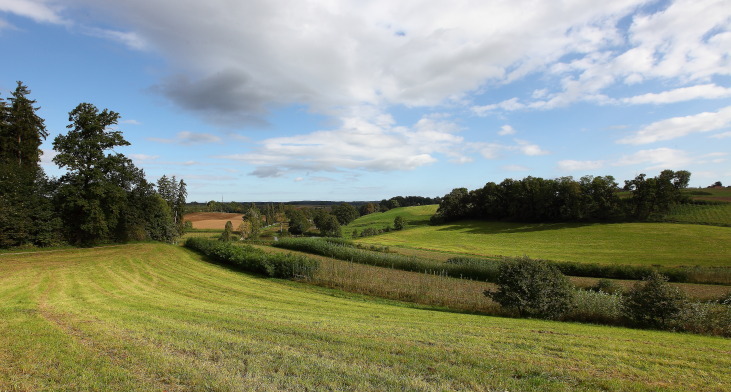 An overview is given, from the idea and establishment of individual measures to sustainability within the framework of a regional land use strategy. The contained information have a fundamental reference to action, without going into all details. Rather, the guide provides the basics and then sets out a framework for action that serves as a central theme for the actors involved in their own development on site. It is essential to capture the specific conditions in the reference space and thus to develop an own project. The guide focuses on arable farming regions, but can also be applied for cultural landscapes mixed with grassland and arable farming. On the one hand, these excellent arable regions are often located directly next to growth centers and are thus the main spots of land losses due to the designation of construction areas. 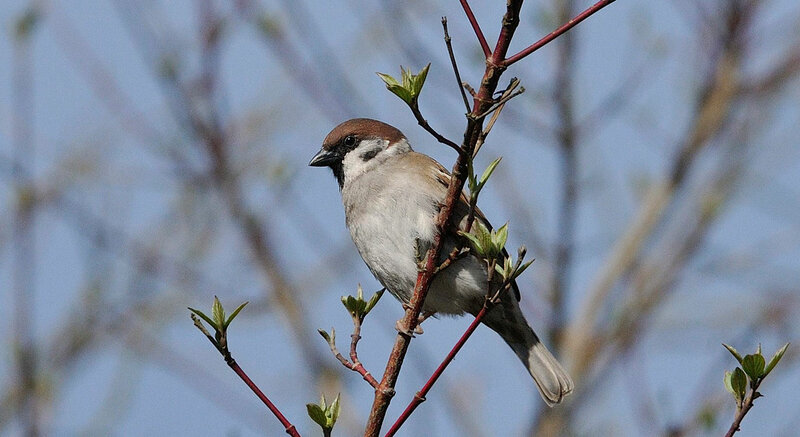 On the other hand, from the point of view of nature conservation and environmental protection, the greatest ecological deficits exist in intensively managed arable landscapes. In these areas, competition for the limited area of land is constantly increasing. In this respect, there is an urgent and very concrete need for development.